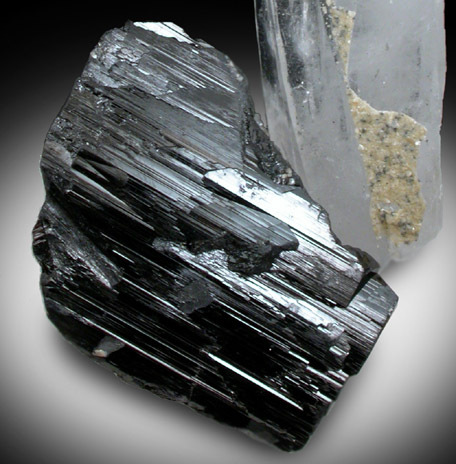 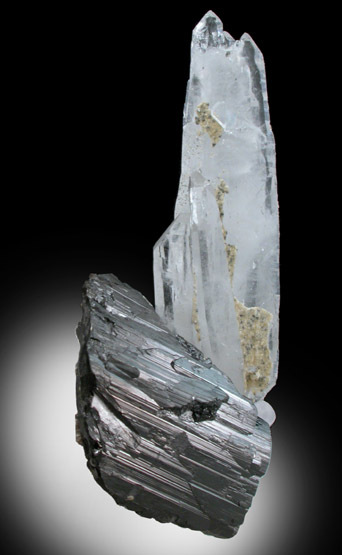 Description: Lustrous complex crystal of black ferberite slender grouping of transparent quartz crystals. 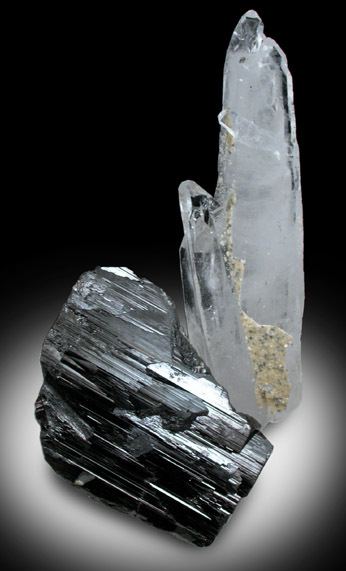 All surfaces are clean and lustrous, though the ferberite has two small contacts on one edge. 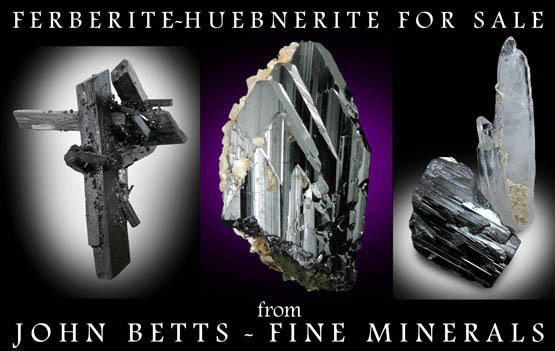 Very aesthetic formation from the classic mine known for ferberite.